If you’ve ever been caught in a massive rain storm in the city wearing your nicest pair of dress shoes, you know why galoshes overshoes were invented. 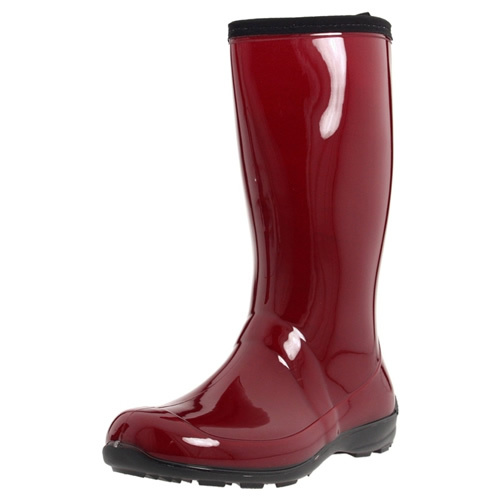 Basically, galoshes overshoes are protective rubber shoes that go “over” your normal shoes. That is, they slip over the shoes that need protection from rain, snow, mud, the elements. Now, they don’t have to look large or clunky (though that’s, ahemm…, kind of the side effect) as they used to. Today, some overshoes look ‘almost’ like regular boots or shoes. However, let’s get back to the basic purpose before we become too fashion conscience! Right now I want to take a look at a few sample selections of galoshes overshoes. 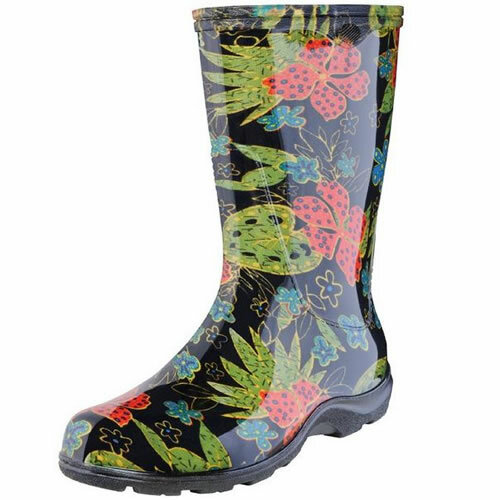 Even though this is a site more for women’s rain boot selections, we are going to start with some overshoe selections for men so you can see what types of overshoes are made simply put. First off is the traditional boot style. LaCrosse makes a 14 inch, tall shaft ‘boot’ that looks like something you might find on a fishing boot. This thing even has reflective striping. With five buckles down the front, you can just pop them on and off, right over your regular shoe. In case you were wondering, it is primarily made for fishing and hunting, but it is 100% waterproof and won’t freeze up (remains flexible) when it’s frigid outside. Next up, another style of galoshes overshoes that is similar to the manly boot above, but with only two buckles. It’s kind of a ‘shoe’ by comparison (a shoe over a shoe that is) to the boot, but it’s made by the same folks at LaCrosse. It’s the 5″ 2-buckle overshoe shown here. I suppose if you want to go hunting or fishing with the same quick on, quick off overshoe in the mud and elements but with out the heavier ‘girth’ of the boot, this model is for you guys! Both the pairs of LaCrosse overshoes shown above are over $50 easily, but they are a little more ‘robust’ than a city boy might wear. If you are treading more sidewalk than pond scum, consider something like the Tingley Moccasin galoshes overshoes shown to the left. 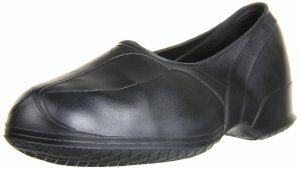 This model overshoe really is more for the guy hailing a cab on a rainy city street, it looks like a dress shoe even though it fits ‘over’ your dress shoe (if that makes sense). This overshoe is obviously more form fitting and the flexible rubber is made to stretch for sure. The outsole is also rubber, but still encourages steady footing with the traction it offers. So, there you have it for the guys. If you want to check out these galoshes overshoes and more, just follow this link to shop online! 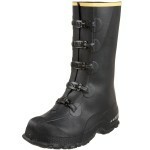 Just as there are a number of creative and varied galoshes overshoes for the boys, there are even more for the women. We’ll want jump right in with some rubber overshoes made by Totes. 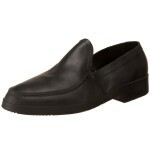 It’s the Women’s Loafer Style Rubber Overshoes, and we start with these because they are dressy rather than bulky. What do we love about these galoshes overshoes? For starters, they are waterproof like any other overshoes, but they just look less like big, bulky rubber boots as many of them do. These galoshes overshoes actually look like shoes, dress shoes. 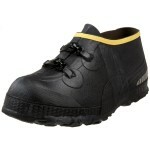 They have shape, color contrast and a light tread bottom for excellent slip resistance. Basically, we are looking at a pair of protective covers that don’t ‘look’ like galoshes overshoes and that’s one reason we love them. Next up, we’re going to take a look at a brand that has been around a LONG time in the galoshes overshoes space. 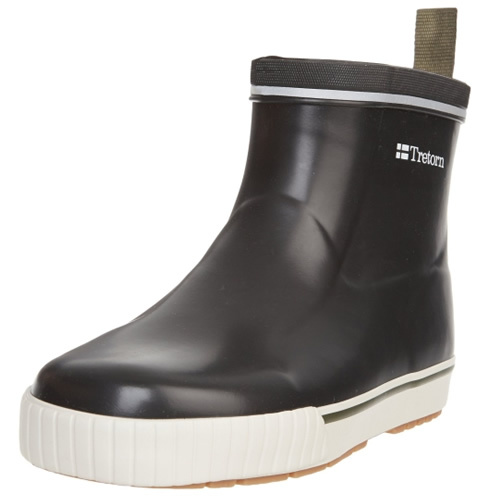 If you’ve never heard of Tingley galoshes, take a quick look at the overview we wrote up. 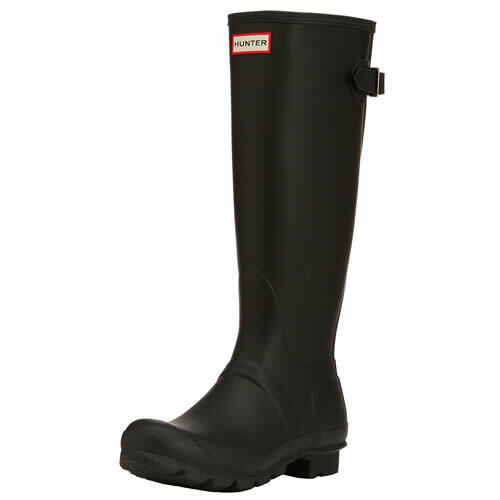 You just might appreciate the history behind this brand if you are in the galoshes market. They may not look like much, you be judge. However, what these Tingley galoshes overshoes do is offer lightweight protection for every day walking shoes. Reviewers have mentioned that they might require a little tugging to slip over something like a heavy athletic shoe for instance, but they are galoshes OVERSHOES. So, the size and girth of the shoe underneath would obviously play a factor. The definitely work well over clogs and mocs. Conclusion is….if you are tired of WET feet and you don’t want to shell out for Gore Tex, this is the perfect pair of galoshes overshoes!